Spectrachem’s standard aqueous dispersions were developed for compatibility in a broad range of industrial formulations. We understand however, that an off the shelf dispersion isn’t always suitable for every application. This is why our technical staff work directly with our customers, where necessary, to tailor fit specialty dispersions to meet the most demanding requirements. Examples of this are colorants and bases that must be able to perform in punishing weather conditions. 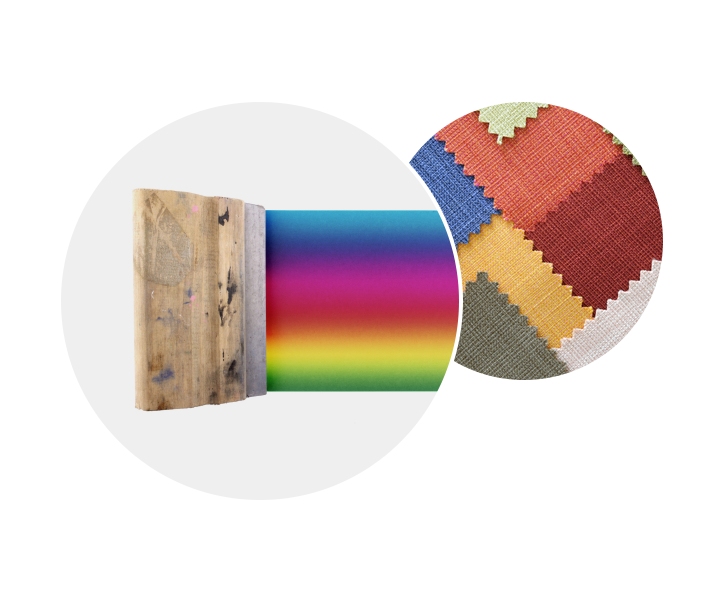 Furthermore our R&D staff has worked with our textile and wallpaper customers to develop new specialty effects products that enable them to be the trend setters in the industry. Contact our technical staff to see how Spectrachem can design a dispersion to meet your challenging specifications. Spectrachem’s technical staff’s expertise in dispersion chemistry and process development is not the only resource available to our customers. Our production facilities, storage capacity, small and bulk-packaging and just-in-time delivery capability can be utilized to toll produce to your formulation specifications with ingredients that you provide. Whether your looking to produce a pilot batch and lack the necessary equipement or your plant’s capacity is strecthed and you need to turn around an order faster than can be done in-house, Spectrachem can help. Inquire today about our toll production capabilities.